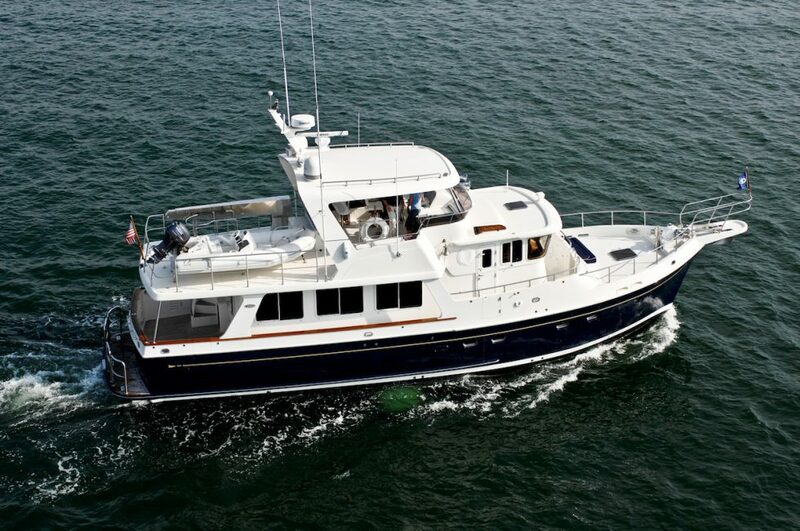 Her comfortable three-stateroom layout with the preferred private entrance to the master cabin, ruggedness and ease of operation are paramount requirements for owners planning ocean passages or family cruising. From the large aft cockpit area, one enters the main salon through a watertight Dutch door. An L-shaped settee is to port with custom teak high/low table. 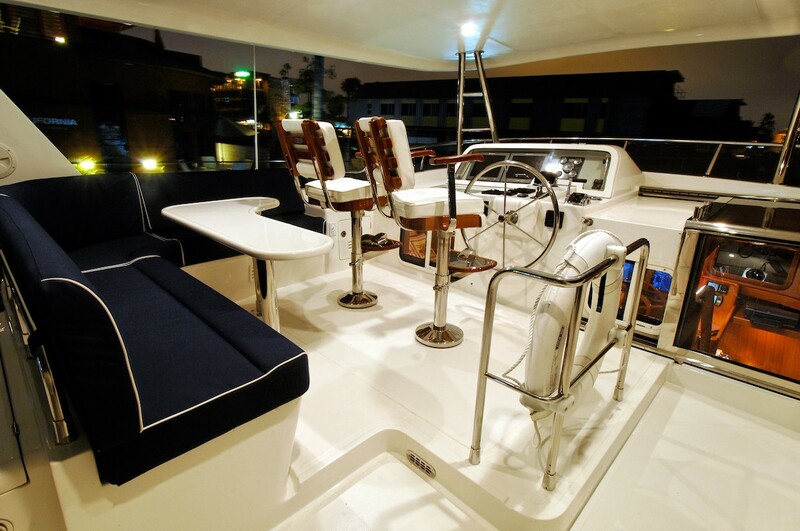 Opposite to starboard are a long settee and cabinets for storage and an entertainment system. Large opening windows provide great visibility, light and ventilation. 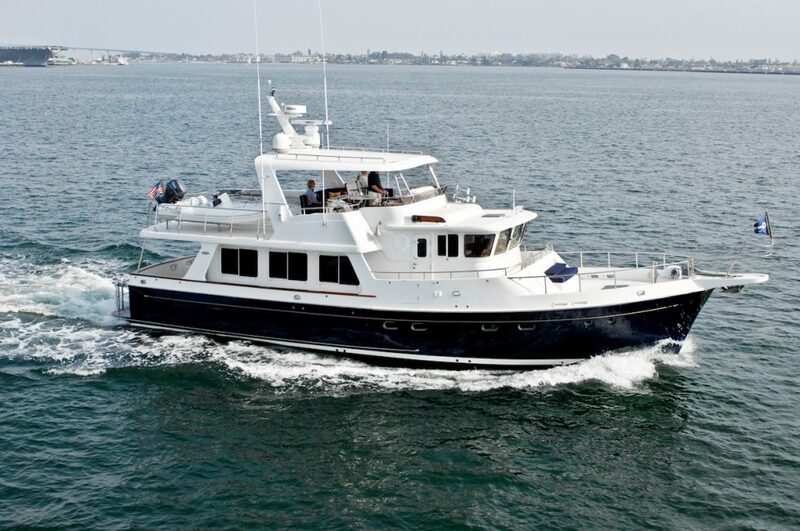 Further forward, the U-shaped galley with granite bar countertop provides generous storage and counter space and is easily accessible from both salon and pilothouse. Galley storage is further enhanced by the lazarette located under the aft cockpit, where there is Grunert deep freeze with holding plates, numerous other storage lockers and a work bench ideal for long-range cruising. 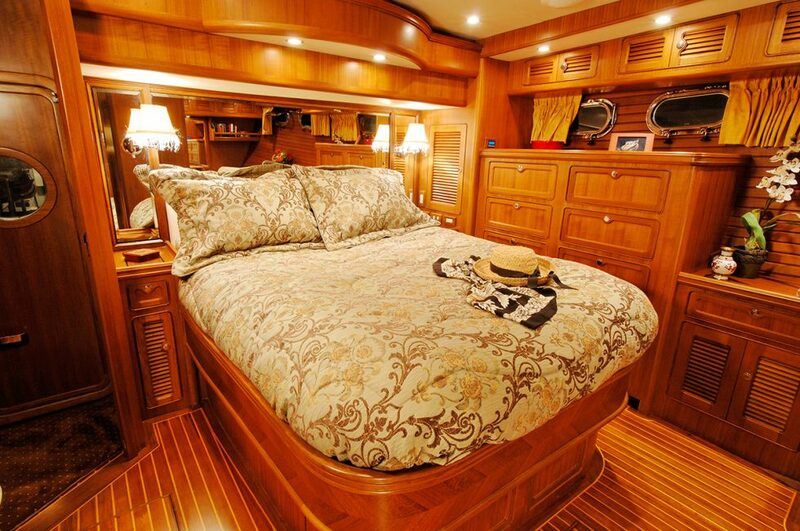 Opposite the galley, a private stairway leads down a half level to the master stateroom, as well as the main access door to the engine room. 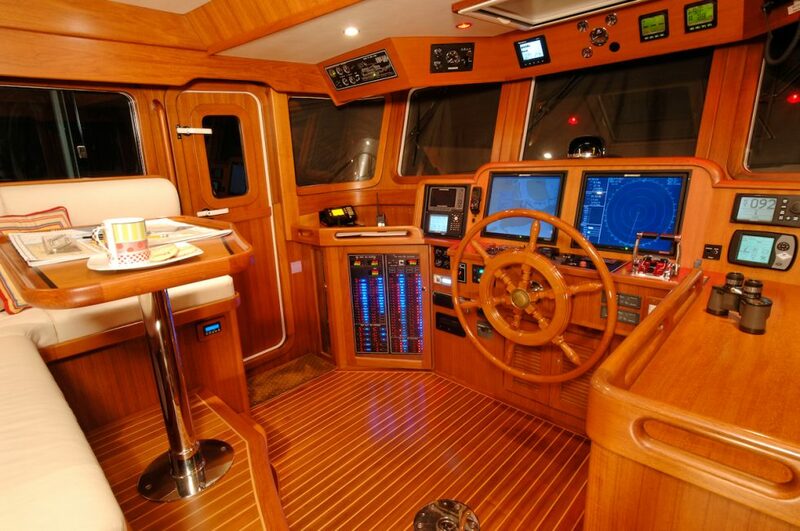 The engine room can also be accessed through a lift-up floor in the salon or through a watertight escape door in the lazarette. The Selene 57 features three staterooms: a mid-ship master with queen berth, VIP forward cabin with a queen berth, and a port side guest cabin with bunks.